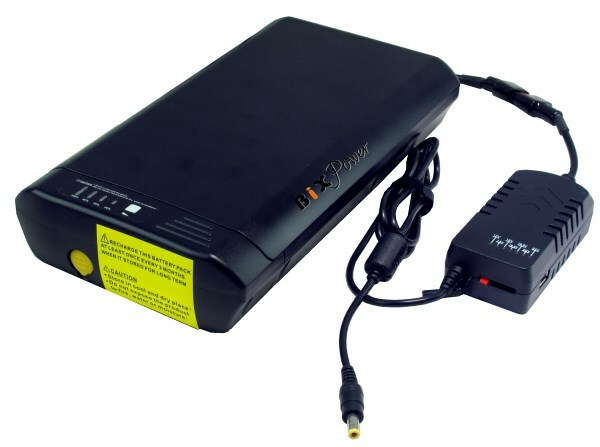 Super High Capacity (300 Watt-Hour) Light Weight Lithium Ion Battery with multi selectable output voltages DC power adapter. The battery pack comes with its own AC charger. You can charge the battery from 100V ~ 240V AC power outlet from home and office. 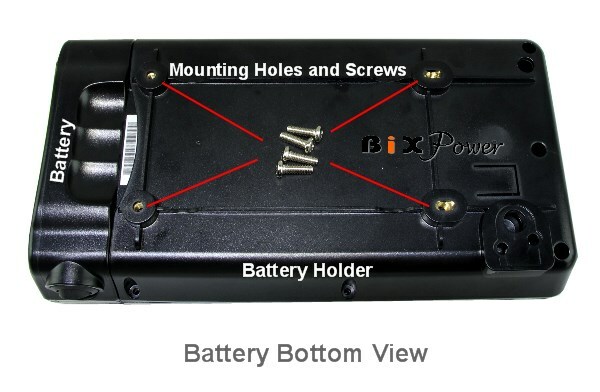 The battery has a output port same as a car cigarette socket. 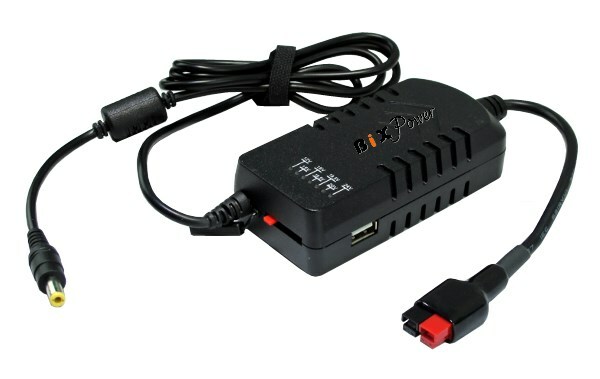 The battery pack comes with a output cable that one end can plug to the battery output port, another end can plug different connector tips. 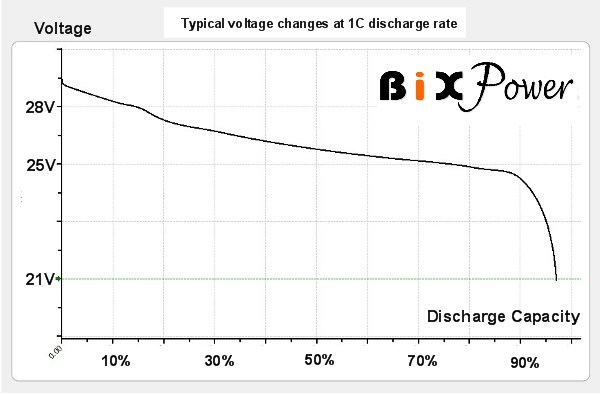 The battery output voltage range is 20V ~ 29.5V, nominal voltage is 25V. When the battery is fully charged, its output voltage is 29.5V. The output voltage will decrease gradually and finally cut off at around 20V. Most of the time, the voltage will be around 24V to 26V. 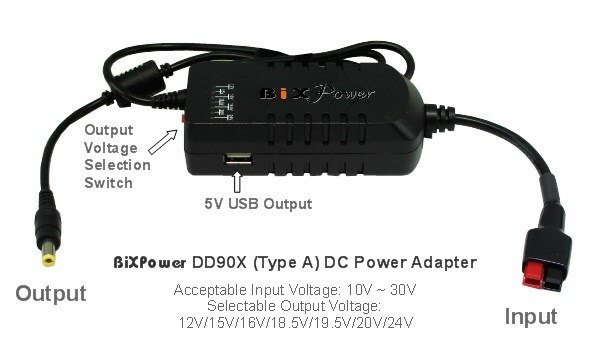 If your devices can accept 20V ~ 30V DC power, you can directly get the power from the battery. 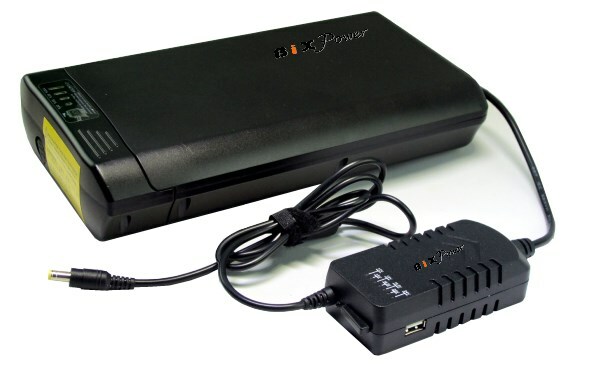 This battery pack comes with a BiXPower DD90X DC to DC Power converter that can plug into the battery output port and convert the battery output voltage to 12V/15V/16V/18.5V/19.5V/24V at your selection with the voltage selection switch. 14 interchangeable connector tips will be included with the optional DD90X DC converter. 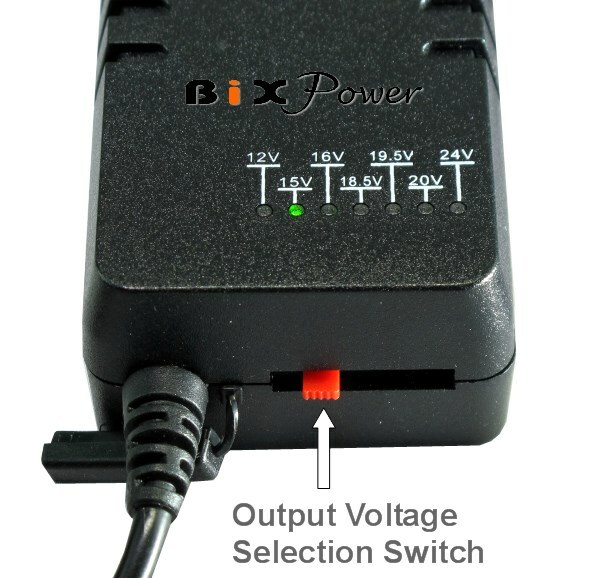 This compact BiXPower DC to DC Power Adapter has multi-voltage selections from 12V to 24V (can set at: 12V, 15V, 16V, 18.5V, 19.5V, 24V ) and many different interchangeable connector tips, which will work for most laptop/notebook computers on the market. A AC charger that can charge the battery from 100V ~ 240V AC power outlet. WHAT KINDS OF BATTERIES ARE ALLOWED IN CARRY-ON BAGGAGE (in the aircraft cabin)? Passengers can carry most consumer batteries and personal battery-powered devices. Spare batteries must be protected from damage and short circuit. Passengers can bring two (2) larger lithium ion batteries (more than 8 grams, up to 25 grams of equivalent lithium content per battery) in their carry-on. 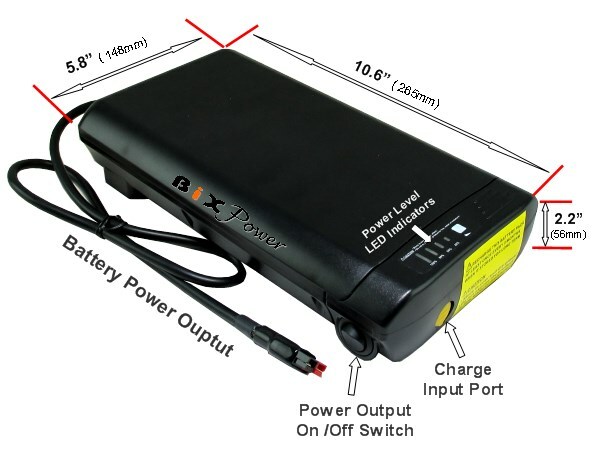 This size covers larger extended-life batteries such as the BP300 battery. WHAT IS THE LITHIUM CONTENT (grams) PER BP300 PACK? WHAT KINDS OF BATTERIES ARE ALLOWED IN CHECKED BAGGAGE? Spare lithium batteries are prohibited in checked baggage. WHAT DOES "PROTECTED FROM SHORT CIRCUIT" MEAN? Protected from short circuit means that a battery's terminals are protected from being touched by metal. When metal such as keys, coins, or other batteries come in contact with both terminals of a battery, it can create a circuit or path for electricity to flow through. This can cause extreme heat and sparks and even start a fire. To prevent short circuits, keep spare batteries in their original packaging, a battery case, or separate pouch or pocket. ARE BP300 BATTERY PACKS PROTECTED FROM SHORT CIRCUIT ? YES. BP300 Battery Packs are built within a protective aluminum alloy scratch resistant shell. Built in circuitry protection also protects against thermal run-away and overheating.